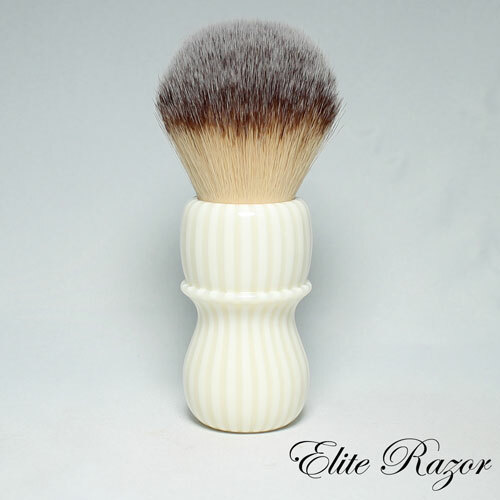 Earlier this month I posted about my briar Bob Quinn / Elite Razor brush with a 26mm black synthetic knot. I also wanted a Bob Quinn handle with a 26mm Plisson type knot. 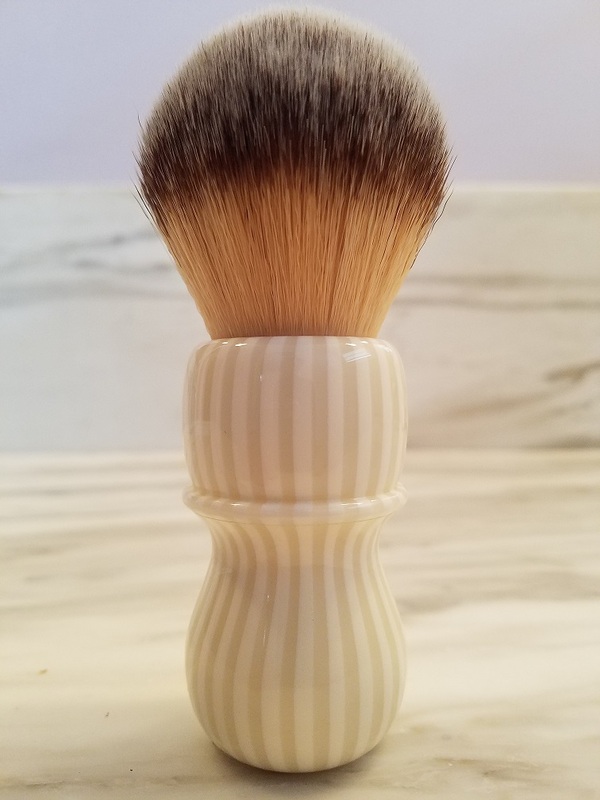 I opted for a striped ivory, and ended up with a beautifully elegant handle. The first picture is Bob's and the others are mine. Here is the brush right out of its mailing tube. Here it is next to its briar counterpart with the black synthetic knot. 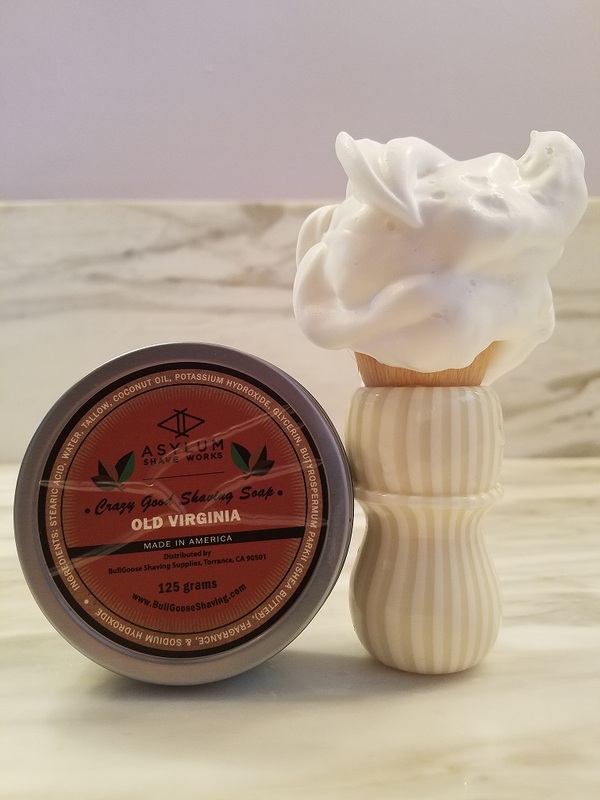 Finally, a lather shot during its first use. Both brushes have 26mm knots. The briar is set to a loft of 55mm, and the striped ivory to 54mm. I've used the striped ivory three times already. My next step is to shave with these brushes exclusively for one week, to do a definitive comparison. It will be black v. Plisson type, and I'll pick my preference next weekend. Beautiful brush Ricardo, congrats! It has been a while since I used a Plisson knot, might be time to bring her back into the rotation. Looking forward to reading your comparison. Looks Great! Perfect proportions. Enjoy it Ricardo. 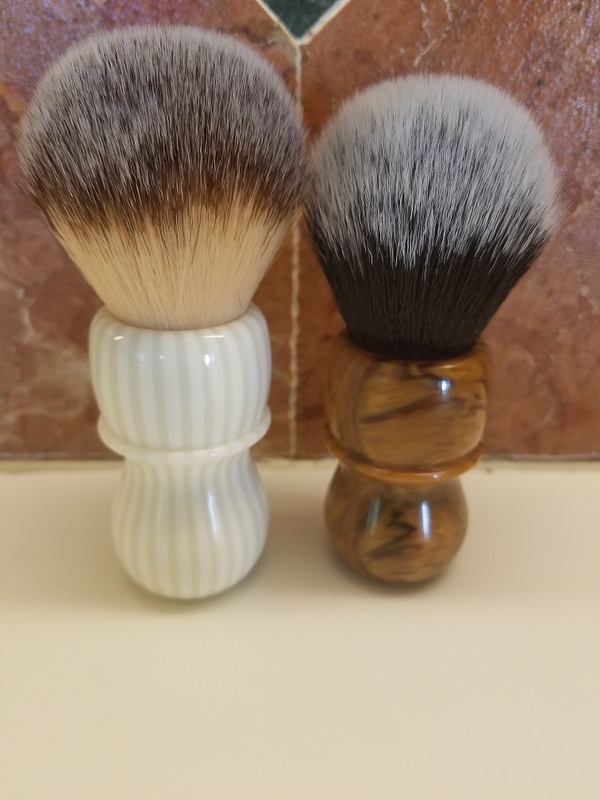 Both brushes are great looking but the Ivory looks like it's something special. They look great. Unfortunately, synthetics never really excited me. That striped ivory is really nice. Beautiful brush. Looking forward to the comparisons. They're both beautifully turned handles, Ricardo. Bob does make them look so fine, doesn't he? My eye is drawn to the briar/tuxedo. Mm-mmm!